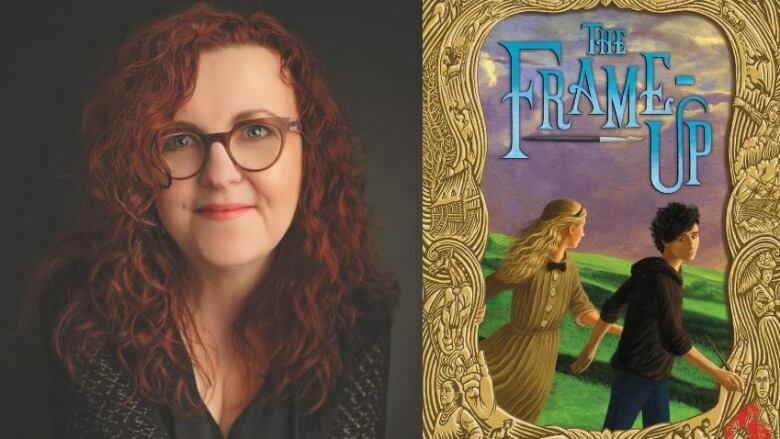 The acclaimed children's writer explains how her mystery novel The Frame-Up came into being. Just like adults, mystery lovers get hooked on them as kids. Wendy McLeod MacKnight's new novel The Frame-Up is for middle grade readers. MacKnight's novel is a mystery and crime story set in the Beaverbrook Art Gallery in Fredericton, N.B., where the paintings come to life and become characters. The children's writer gives us an insight into what paintings inspired her fantastical novel. "The central theme of The Frame-Up is, what if every original piece of artwork in the world is alive and they just don't want us to know that they're alive? The central character in the book is Mona Dunn, who's an actual painting at the Beaverbrook Art Gallery. She's been 13 years old for 100 years and she's very bored. One day she accidentally reveals that she's alive to the gallery director's son, Sargent Singer, who's visiting from New York City for the summer. "One night I was sitting in my living room and I was looking at a couple of paintings on my wall. I thought, 'Wouldn't it be funny if I get up tomorrow morning and the cow in one painting is with the lady who was lying down in the next?' That would be a really cool story, but what if it was actually at a place that was filled with paintings and would have its own rules? And I couldn't think of a better place to set the story than the Beaverbrook Art Gallery, which is a world class art gallery and has some amazing paintings." "It was critical at one point in the story to have a painting who was a visitor to the art gallery. I looked at the wall and there was my mother. She was painted when she was 14 years old by a famous New Brunswick artist named Jack Humphrey. It's a beautiful painting, so I cast my mother in it. It's been quite lovely because my mother passed away in 2001, and most people read the book and they don't realize that there's any connection to me. But when we launched the book, she hung on the wall at the Beaverbrook Art Gallery for a month, which I know would have made her very proud." Wendy McLeod MacKnight's comments have been edited for length and clarity.